What to do this Halloween? This year Halloween falls on Friday October 31st which is perfect for a weekend full of spooky Halloween events and activities. 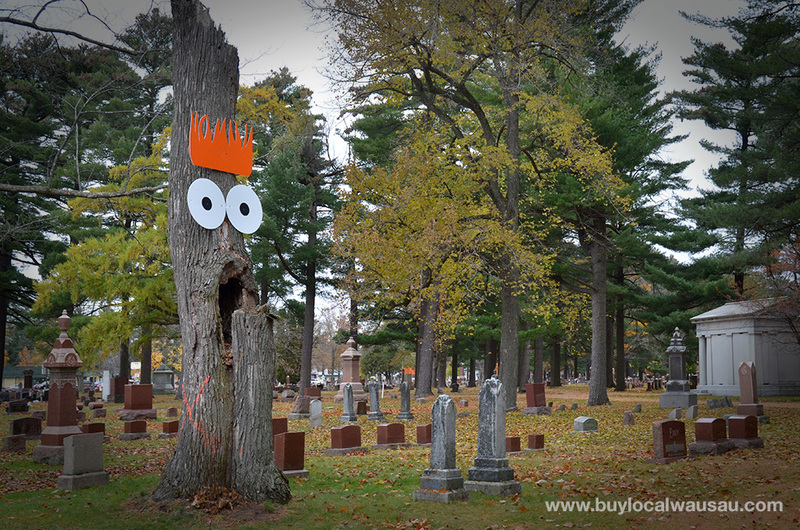 Fortunately there is no lack of activities for Halloween and there is a wide variety of things to do in the Wausau Metro area. Just pick an activity that sounds like fun and is age appropriate and you’ll have a blast. All the municipalities encourage trick or treating during designated times. Standard safety rules apply, stay in groups, don’t wear loose fitting or vision restrictive costumes and watch for traffic. Most important: say thank you and have fun! For the little older set, both the City of Wausau and the Village of Weston are hosting community Halloween parties. With fun activities, games, and food; these parties are a great alternative for those who may want to do something a little different than Trick or Treating. 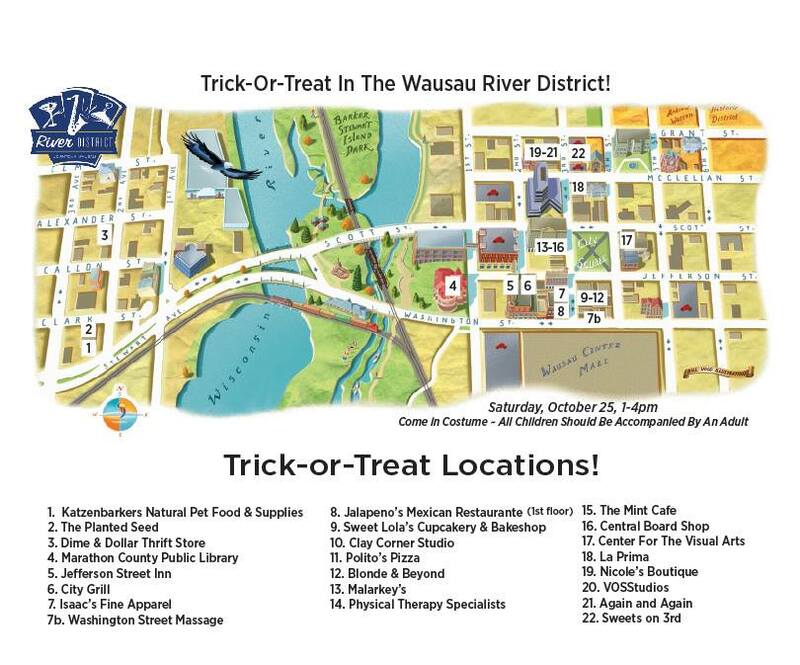 Wausau River District Trick of Treat: Head downtown this Saturday October 25th from 1:00-4:00pm for a River District Trick or Treat event. Participating downtown merchants will be giving out candy and other treats. Stop by the Marathon County Public Library and Children that say “Trick or Treat” at the library’s childrens desk will receive a non-candy treat this Saturday from 1:00-4:00. More details on the Wausau River District Website. Schofield, Rothschild, and Weston combine on Sunday October 26 from 1-3pm for the Community Halloween Party. Come join in the fun for the annual Community Halloween Party on Sunday, October 26, 2014 from 1-3 pm at the Greenheck Field House. FREE ADMISSION with a donation of a non-perishable food item to benefit Peyton’s Promise. There will be fun, games, prizes and a puppet show. Be sure to wear your Halloween Costume. This event is sponsored by the Everest Metro Police Department, Weston Fire Department and area businesses. For more information, to volunteer or donate to this event, please contact the Everest Metro Police Department at 359-4202. Want to Trick or Treat with the younger ones, but don’t want to travel the streets? Key to Life Trunk or Treat on Sunday October 26th from 4:00-6:00pm is a great alternative. Key to Life Community Center (located at 3915 Sandy Lane in Weston) is offering a family friendly alternative to Trick-or-Treating on Sunday, October 26th from 4-6pm. Local individuals, businesses, and organizations will have their cars decorated and be offering candy out of their trunk. Prizes will be awarded for best cars and best costume. A FREE chili supper, sponsored by the members of St. Peter Lutheran Church, will be offered in the Community Center. For more information please call 359-5451. How about scary fun for the older ones? The Haunted Sawmill in Merrill guarantees a good time for your tween and teen aged child. Adults will be thrilled too. They even have weekend no so scary matinees for the younger set. Weekends starting October 11 until the 31st of the month. I know there are more halloween activities, haunted houses and haunted corn mazes in the community. If you have information on them you want to share, drop me a line on the contactpage or leave a comment below.